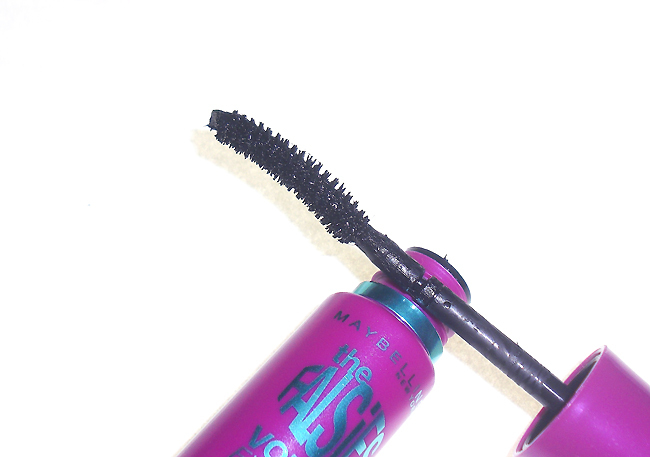 Maybelline's Volum' Express The Falsies Mascara. I was given this mascara to try out and I pretty much like it. The mascara is more or less waterproof but if you cry and then rub your eyes, it may flake a teeny bit. It’s formulated to give Asian lashes five times more volume and being a fibre mascara, I can see how. My lashes were also curled slightly more than other mascaras I’ve tried before. I also like the Spoon Curler Brush, which isn’t like the normal curved mascara brushes I’m used to seeing. It’s wider on the concave and convex parts, and thinner on the sides. Overall, I am pretty satisfied with this mascara and would definitely consider it when I’m looking for a new one. The mascara will be available at Watsons, Guardian, SASA, major supermarkets, hypermarkets and selected departmental stores from December 2011. It will retail at SGD$20.90. Isododecane, Cera Alba / Beeswax, Copernicia Cerifera Cera / Carnauba Wax, Disteardimoniun Hectorite, Aqua / Water, Allyl Stearate / VA Copolymer, Oryzasativa Cera / Rice Starch, Paraffin, Alcohol Denat., Polyvinyl Laurate, VP, Propylene Carbonate, Talc, Ethylenediamine / Stearyl Dimer Dilinoleate Copolymer, PEG-30 Glyceryl Stearate, Propylparaben, Methyl paraben, TDI / Trimellitic Anhydride Copolymer, Rayon, Hydrogenated Jojoba Oil, Nylon-6, Arginine, Serine Glutamic Acid, 2-Oleamido-1,3-Octadecanediol and Silica. May contain: CI 77491, CI 77492, CI 77499 / Iron Oxides, CI 77007 Ultramarines, CI 77891 / Titanium Dioxide, Mica, CI 75470 / Carmine, CI 77288 / Chromium Oxide Greens, CI 77289 / Chromium Hydroxide Green, CI 77742 / Manganese Violet, CI 77266 / Black 2 and CI 77510 / Ferric Ferrocyanide. Review: Maybelline’s Volum’ Express The Falsies Mascara was last modified: October 30th, 2011 by Roxanne C.